Headphone manufacturers must make deliberate audio signature decisions when crafting cans. Some shops, like GradoLabs, adopt a house sound. Relative newcomer Master & Dynamic's design ethic seeks to equally please eyes and ears. 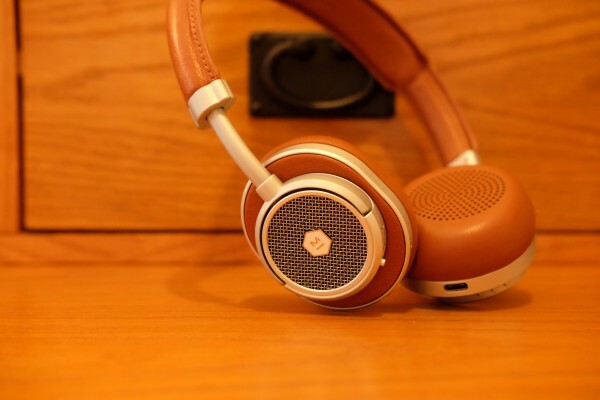 As such, its flagship wired headphones (MH40) and wireless (MW60) share similar industrial design. Aluminum, lambskin, leather, and stainless steel combine in rugged style that evokes aviators of a bygone era. The newer MW50 Bluetooth headphones strongly resemble the other two, but they're tuned for younger listeners on the move. M&D's earlier cans are over-ear—meaning they cover the lobes, while the MW50 rest on them. The headphones are smaller and lighter than either the MH40 or MW60, but with most of the overall benefits of the latter, including excellent wireless reception. On-ear headphones can be uncomfortable to wear and leak in too much ambient noise. The MW50 push past both typical limitations, which, honestly, surprises me. I personally don’t find the design to be as attractive as the over-the-ear cans. It’s about the ear cups, which function matters more, however. The lambskin-covered ear pads are immensely comfortable, and the MW50 arguably are better all-around-wear than their siblings. I would take them outdoors on a walk, for example. Audio signature is punchier—fuller—than the MW60. The MW50 sound is more present than refined, while preserving soundstage and separation. The Sixties are more detailed, more authentic, while the Fifties present pronounced lows and mids, without being overbearing. Lucky for M&D, and this review, my first listen was Hot Hot Heat's "Middle of Nowhere", which punch and presence made me want to dance. The MW50 sound signature should appeal to younger listeners, whom I assume are more likely to wear on-ear cans (because of the lighter look and appearance). That said, and so there's no confusion, these headphones ain’t bassy Beats, and, thankfully, don’t try to be. The Fifties are more balanced than big-bass counterparts but not as balanced as the MW60. The MW50 sound is tighter, more condensed, and brighter, bringing great emphasis to modern genres like Alternative, HipHop, Rock, or Techno. Low impedance, 32 ohm, means the MW50 produce plenty of volume from most any portable device without need of a digital amplifier. Surprising: How well the MW50 overwhelm background noise. They’re quite good, especially considering on-ear design without noise-cancellation (which I detest and recommend against). Stated battery life is 16 hours, which is an understatement. I easily get more. The controls for adjusting volume and pausing or changing tracks are accessible and easily-used; they are solid, too, although they don't physically feel as smooth as the M60. Listeners can take phone calls, using the built-in microphone, and then resume audio playback; easily. Bluetooth connects easily, and the range is exceptional, as are the MW60. Turning on the headphones connects them to the paired device. Rarely do I have to do more than power up the headphones and start the device’s media-playing app. Meaning: Pairing problems are uncommon. Distinctive tones punctuate connected or disconnected status. But there’s something you should know about Bluetooth audio. To get the best wireless listening experience, the connected device should support aptX—as the headphones do. Apple doesn’t license the streaming codec, not even for the audio-jackless—some people might say audio-jackass—iPhone 7 and 7 Plus. That said, listening to the Plus and Moto Z Force Droid, I discern no meaningful difference over Bluetooth. Unless I’m mistaken, the Android supports aptX. That’s streaming from Apple Music or Tidal. Streaming 1411kbps FLAC (Free Lossless Audio Codec) from Tidal isn't as pleasing as the MW60, which expose more detail and wider soundstage. The MW50, while exceptionally good for so-called HiFi tracks, surprisingly satisfy more when source is lower-bitrate AAC from Apple Music/iTunes or MP3 from other digital stores/streaming services. The punchy, bright sound signature makes the music—how can I express it—feel livelier. I circle back to the audio, because it's the obvious big benefit, but more to, again, re-emphasize Master & Dynamic engineering the MW50 for younger listeners—inside and out. The question, and this is a matter of taste and budget: Will the demographic pay $449, when, say, Apple AirPods cost $300 less, offer similar wireless benefits, and are even more portable than the on-ear cans? The MW50 are available in silver metal, with either black or brown leather. Put them on and you might for a few scant seconds feel transported to another era, hearing the roar of a vintage Air Force bomber, where you are the radio operator. 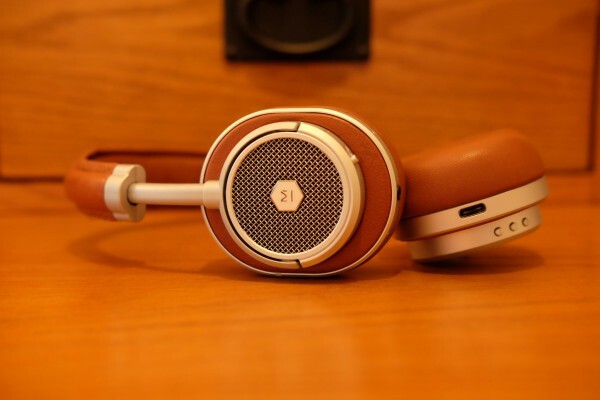 The headphone's nostalgic and modern style sets them apart from all other wireless cans sold today. For your 450 bucks, M&D also provides canvas carrying pouch and leather cable box, along with the expected 1.25 meter standard cable and another for USB-C charging. Everything about the kit feels premium. Soundstage is how instruments are spatially placed in audio recordings. The MW50 present tight soundstage, with good spatial placement. Open-back headphones let in the most background noise or leak sound to those people nearby. Open-backs also typically present the best soundtage of headphone styles. On-ear headphones are as named. They sit on the lobes rather than enclose them. Whether or not as comfortable as, or more than, over-ear is a matter of taste. 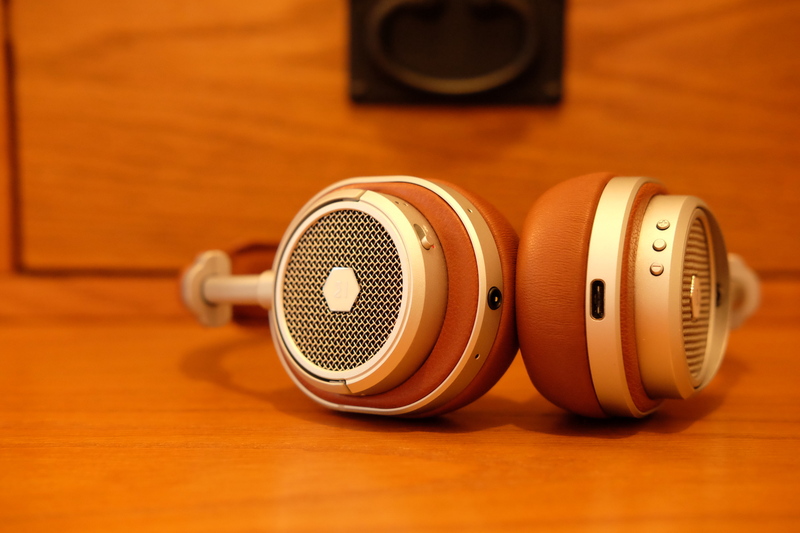 Without active noise-cancellation, like open-back, the wearer will hear sounds in the room. Over-ear headphones typically cover the ear, making a soft seal that improves the aural experience while blocking out most background noise. Many people find this style to be the most comfortable to wear, particularly for long periods of time. Impedance is a value you need to worry about. We'll skip the science and get to practical matters: If you're buying cans to listen to portable devices, like smartphones or PCs, you want lower impedance; I find 32 ohm—what the MW50 deliver—to be just right. If impedance is too high, you won't jack enough volume to your headphones without aid of an amplifier. For stereo systems you want higher impedance, upwards of 600 ohm. Frequency response typically ranges from 20 to 20,000 Hz, with bass and treble at both ends, respectively. The extremes exceed normal human hearing range, but not necessarily perception: Below 20 Hz, the listener may more feel the bass than hear it. MW50 offer ample range: 5-30,000 Hz. Transducer creates the sound, and there are typically three types: Dynamic (most common); Orthodynamic; and Electrostatic. Think little speakers. See Headfonics' explanation for more. MW50 are Beryllium. Active noise-cancellation uses microphones to capture and largely eliminate ambient, background noise. For the record, I recommend headphones without this feature, which interferes with overall audio quality. aptX codec allows for wireless delivery of high-fidelity music via Bluetooth without imposing heavy compression. HTC, LG, Samsung, and Sony are among the major brands broadly supporting aptX across their smartphone lineups. Among the missing: Apple. Full list of supported devices.